This is the second part of a two-part series on the industry labor shortage. The U.S. construction industry is undeniably experiencing an acute shortage of skilled labor, but manufacturers are developing products to help professionals maximize the time and workers they have. According to USA Today, there were 158,000 job openings in construction in December 2017, up from 140,000 a year earlier. In addition, in late 2017, 84 percent of contractors surveyed by the National Association of Home Builders (NAHB) and Wells Fargo cited the shortage of workers and cost of materials as their most significant problems. “During the recession, many contractors changed their jobs, which has led to a shortage of skilled labor now that the recession is over,” says Tyson Apfelbeck, senior product manager at Milwaukee Tool. “Pair that with the shortage of the younger generations entering the trades, and the industry has a major supply and demand issue.” With these numbers, it’s more important than ever to make the most of the building and construction technology that is available. Home Innovations Research Labs recently outlined ways in which building product manufacturers can help ease the labor stress on residential construction professionals through smart product design. The suggestions include reducing the skill needed to install products, combining complementary products into a single unit, and creating products that can be installed by less people. From factory-produced prefab building components to tools that work faster for longer, there are already solutions in a number of product categories that can help builders and contractors cut down on the hours needed to complete a project. Many product manufacturers are looking for ways to make processes more efficient, by packaging products in ready-to-install kits or rethinking product design specifically for retrofits. Milwaukee Tool, for one, starts with job-site research to look for pain points and frustrations, Apfelbeck says. He adds that due to advancements in the company’s cordless technology, “tools are getting smaller and lighter and, at the same time, outperforming their corded counterparts.” The company also focuses on ergonomics, ease of use, and user safety. Others are looking to the factory to rid their processes of inefficiencies. Tedd Benson, founder of home building companies Bensonwood and Unity Homes, has recently brought his prefab philosophy to the greater builder world through his prefabricated component venture, Tektoniks. The new company will factory-produce wooden wall, floor, and roof panels for purchase by builders and architects. He believes this is a sorely need update to the building process, which has seen relatively few technological updates compared to other industries. But of course, using efficient products is not the only approach for tackling the skilled labor gap. As we reported earlier this year, supporting high school shop programs, trade schools, and other training and advocacy programs for skilled labor can also have a big impact on recruiting more workers to fill open positions. One thing is certain, manufacturers will have to find ways to solve the labor shortage on their own. Whether by proactive choice or as a survival necessity, residential construction professionals across the country will have to adapt to do more with less. Incorporating a few of the efficient products below (or the countless time-saving solutions that are not listed) just might be the place to start. 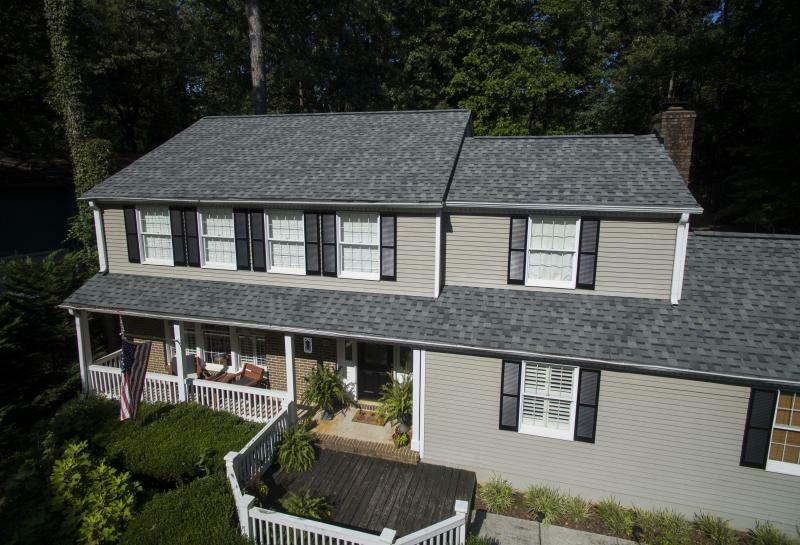 The HP42 roofing shingle has a larger 42-inch width and an enhanced 6-inch exposure to deliver more coverage. The shingle format features a seven-course, zero-waste offset installation guide, which allows installers to run seven courses down the roof before having to reset. The larger coverage and new installation guideline can cut up to four labor hours off a typical job, the company says. The custom timber frame builder has recently released Tektoniks, its own collection of prefabricated building components. 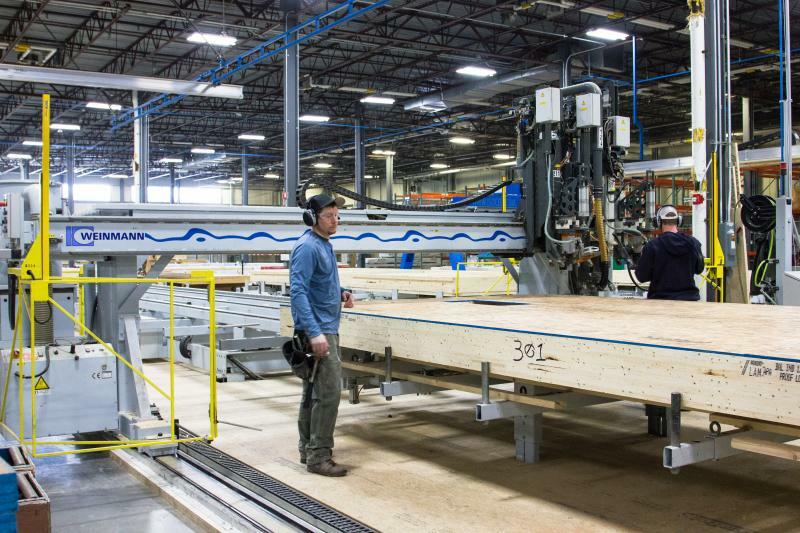 The products are factory produced in New Hampshire and improve accuracy, save time, and require less labor than traditional building methods, the company says. The company is releasing their products to the public in hopes of getting other professionals to rethink the building industry. The Leviton Load Center features an all plug-on design, allowing all branch wires to terminate a custom lugs, and eliminating the need for pigtails. Circuit breakers can also be switched out without rewiring. This keeps wiring easier and neater, the company says, and allows the entire panel to be finished at rough-in. 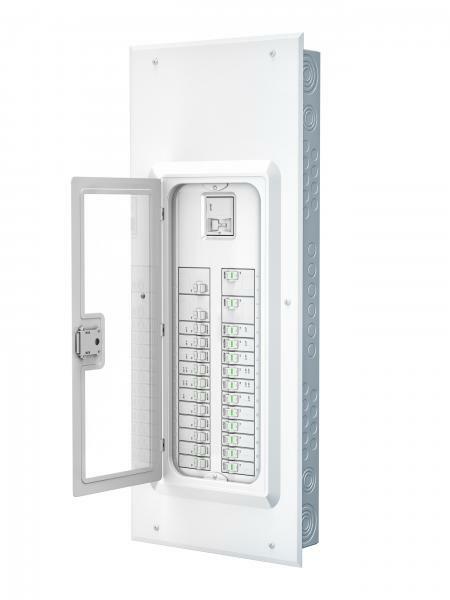 Catering to homeowners, the panel also offers a sleek and approachable white exterior and intuitive reset controls for circuit breakers. The Patience collection of bath, shower, and tub faucets was designed for easy installation in retrofit situations. 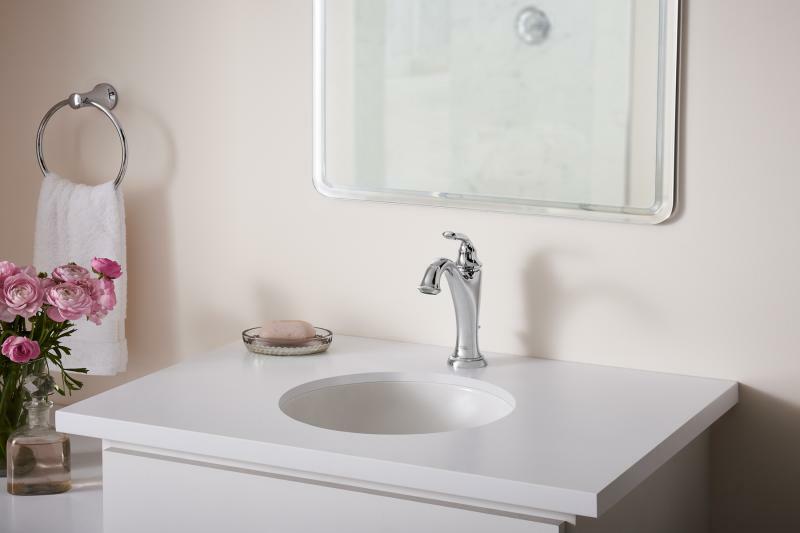 All units feature the company’s Speed Connect pre-assembled handle installation system, and the shower configuration allows homeowners to change the trim after installation without ripping out tile. The traditional look is available in polished chrome, polished nickel, brushed nickel, and legacy bronze. 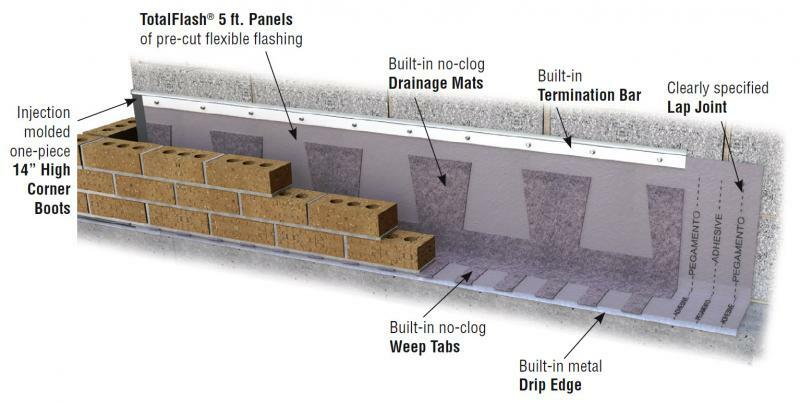 The company’s TotalFlash is a factory-assembled masonry cavity wall flashing system that combines the flashing membrane, mortar dropping collection mat, weep tabs, drip edge, and termination bar into a single panel. The system can be customized with six membrane options, six drip edges, and three termination bars. The company claims that the system can cut installation time and labor needs in half. TotalFlash comes in 12-, 18-, and 24-inch heights in 5 ½-foot panels or 50-foot rolls. The Solutions Series is the first one-piece, screwless door frame for doorlites. A compression seal and interlocking joints eliminate screw holes and frame gaps, streamlining the installation process. The Shaker style profile has a clean look at only 3/16 inch thick, compared to many other frames that come in a ⅞-inch size. The frames are available in white or tan vertical wood grain patterns and can be painted or stained. They can be paired with 11 different energy-efficient glass styles and endless door design combinations. 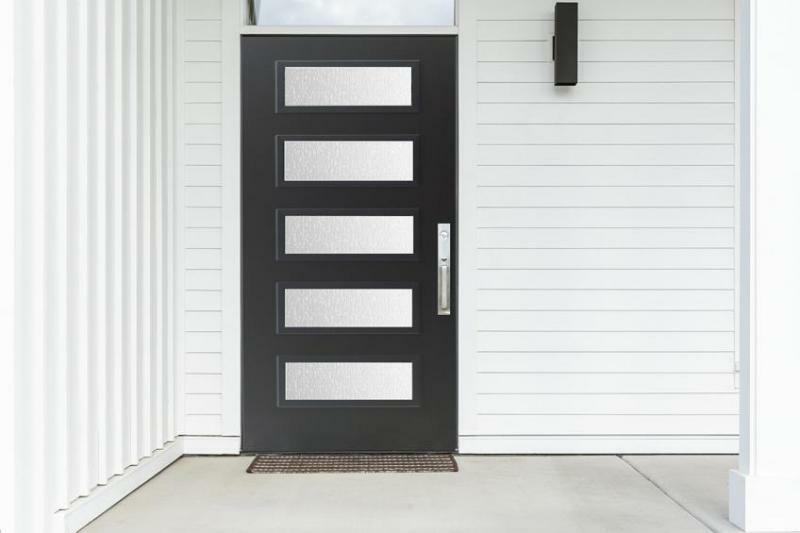 The Easy Connect Joining System allows Andersen’s A-Series windows to be easily combined into large format openings using factory-applied fiberglass joining plates. 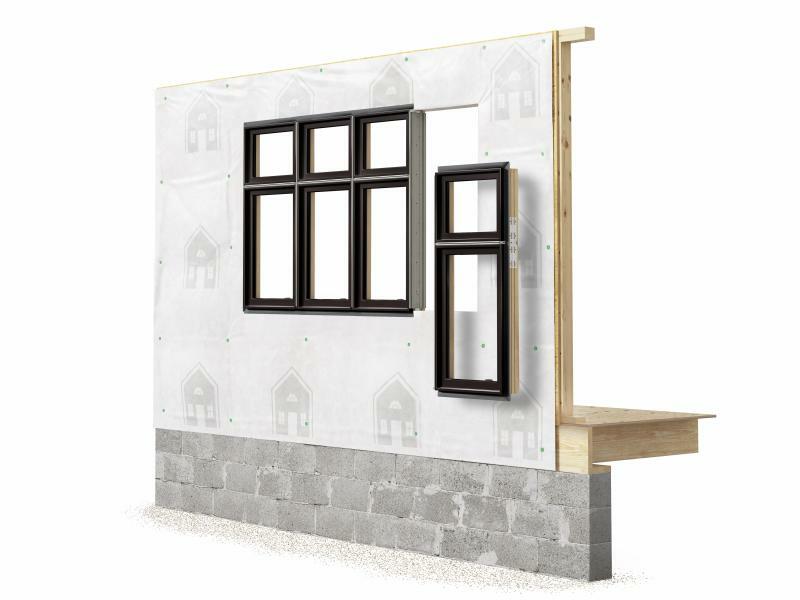 Small window sections can locked together on the jobsite, eliminating the hassle and strain of carrying and positioning large, pre-assembled windows, the company says. Nearly half of contractors surveyed by the company reported that the interlocking system cut their labor needs by 50 percent. 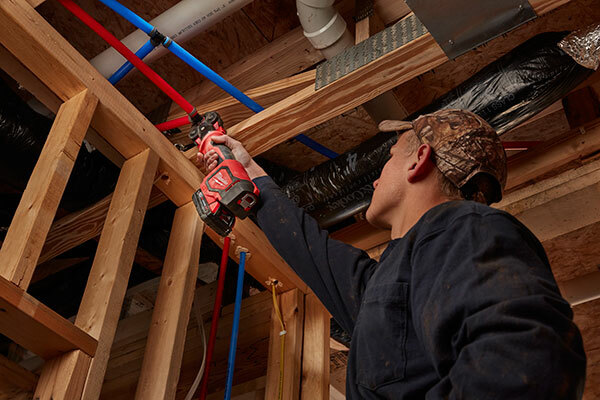 The M18 Short Throw Press Tool with PEX Crimp Jaws is a one-handed, battery-powered tool that can press up to 400 one-inch connections on a single charge. The tool also has a quick, three-second cycle time. The tool eliminates the need for large hand tools or hydraulic press tools. The company’s hidden trim fastening system now includes collated trim plugs, providing a faster and more convenient method for covering fastener holes. The plugs come in strips of 20 that tear away easily when nailed into place, eliminating the need to handle and position individual plugs. They are available in wood-grain and smooth finishes to coordinate with Kleer trimboard, and are also paintable. 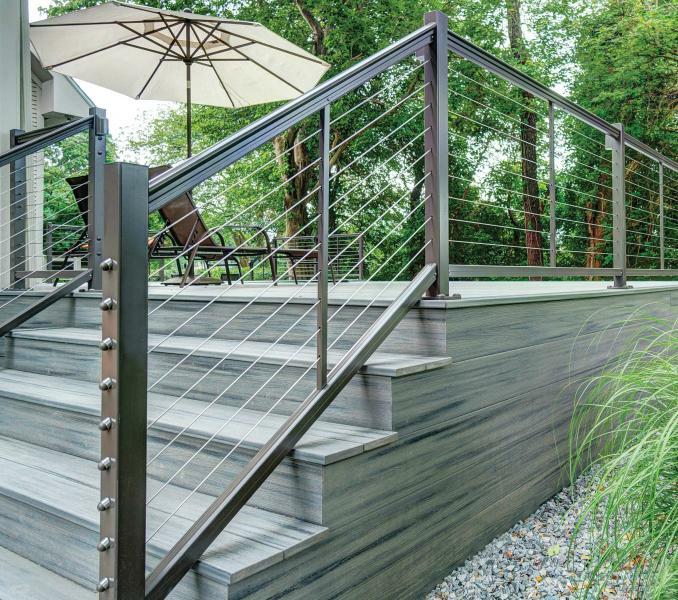 Prepackaged DesignRail aluminum railing kits are designed for use with the company’s CableRail infill and include everything needed for installation. Post kits are pre-drilled, and components snap and screw together for easy installation. The kits’ 6000 series aluminum extrusions have AAMA 2604 powder-coated finishes for durability. 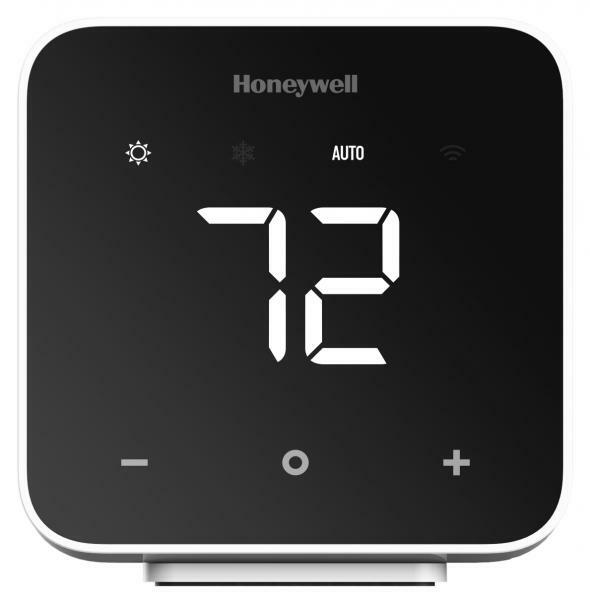 The D6 Wi-Fi-connected controller for Honeywell ductless heating and cooling systems gives contractors a way to expand their product offerings with minimal added labor. The installation process can be done completely on the device, with no need for ladders, tools, or access to the ductless equipment in most cases. The unit can be set on a table or displayed on the wall, and all necessary mounting equipment is included, making it an easy way to replace hand-held controls. 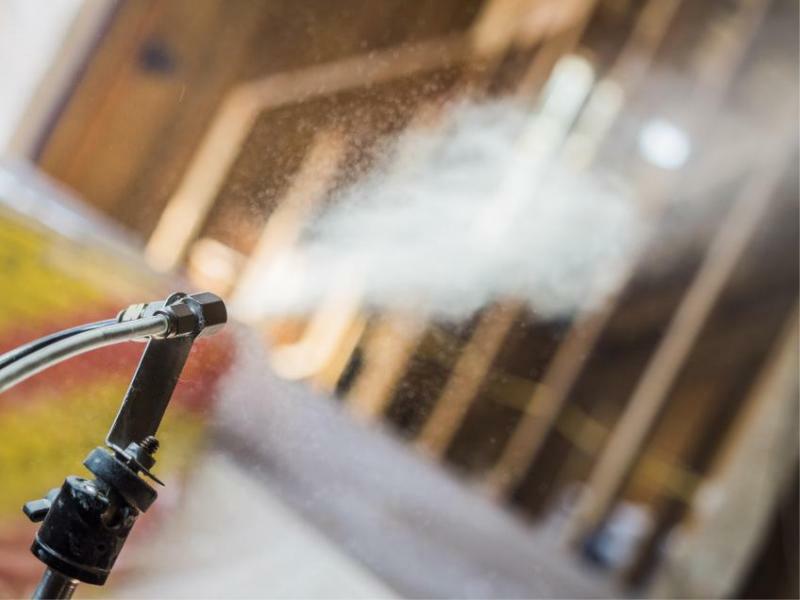 AeroBarrier is the first automated, single-process approach to sealing a building envelope, the company says. When blown into a pressurized space, AeroBarrier sealant particles are drawn to leaks in the envelope. The product adheres to the edges of leaks and to other sealant particles until any hole is tightly sealed. It can save time and money while meeting specifications for passive home envelope tightness, the company says. 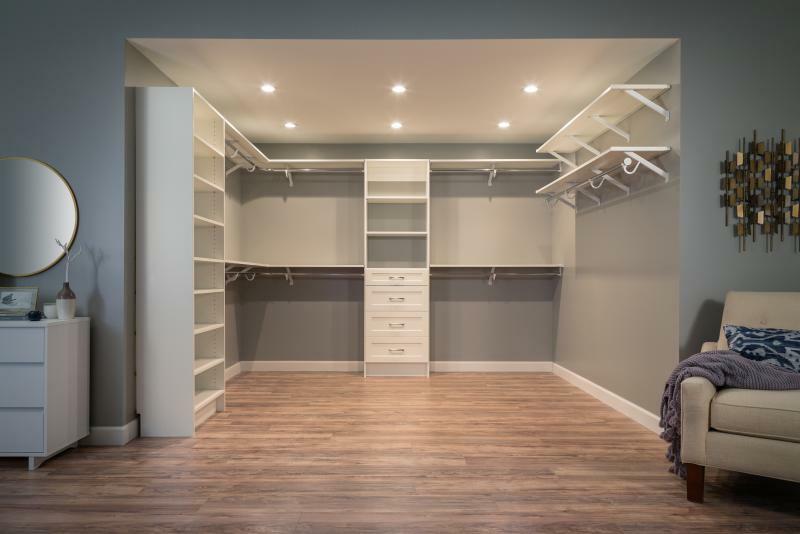 The storage company’s ExpressShelf is a pre-finished shelf and rod closet system that can be installed in 10 minutes, the company claims. The system is installed after painting and does not require re-caulking or re-painting. New additions to the system include corner shelving pieces and rounded hanger bars for continuous wall-to-wall shelving. Finish caps are also available to cover cut shelf ends. Four melamine shelving finishes are available. 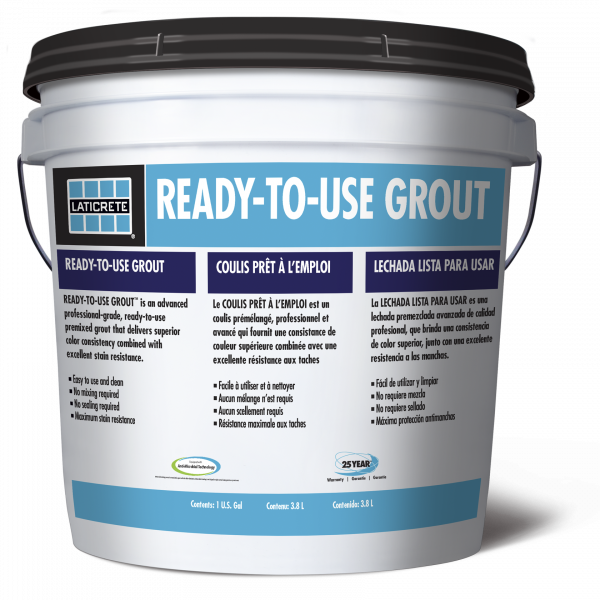 Ready-To-Use Grout from Laticrete does not require mixing or sealing and can be spread continuously for twenty minutes without any cleaning. The professional-grade product can be used on interior and re-grout projects with ceramic, glass, and stone. It is crack-, mold-, and mildew-resistant and available in 40 colors. Precast concrete walls panels are factory-produced and installed onsite in hours year-round. The customizable panels are pre-studded, pre-insulated, and have a steel stud face and wire chase holes for easy electrical and plumbing installation, the company says. They can also be specified with the desired holes for doors and windows. 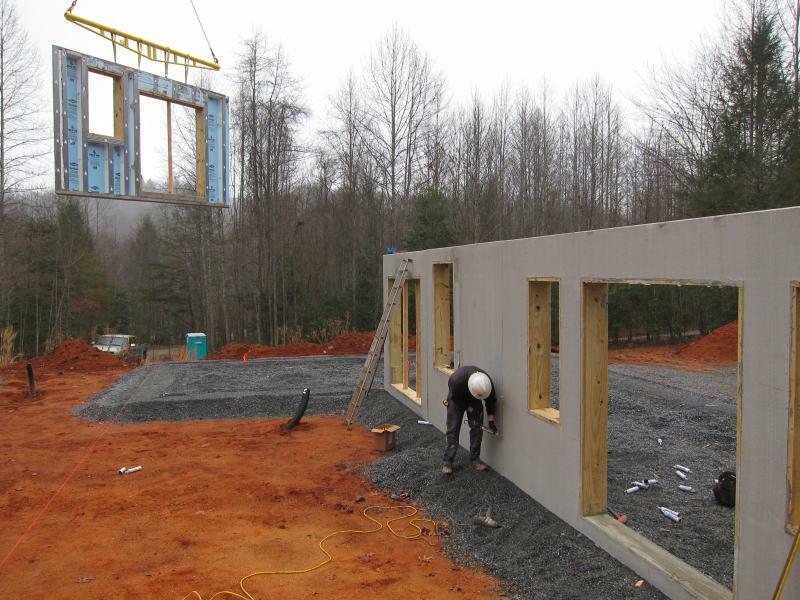 The prefab system reduces waste and pollution on the jobsite, and can also improve a home’s efficiency, using concrete’s thermal properties to reduce the energy needed to control the HVAC system. The company has offerings that are both Zone 4 and Zone 5 compliant. Fastendry is a solution for quickly and easily weatherproofing the understructure of outdoor decks. It installs with the decking, instead of separately, and is fastened to the underside of boards, keeping fasteners off of the deck surface. 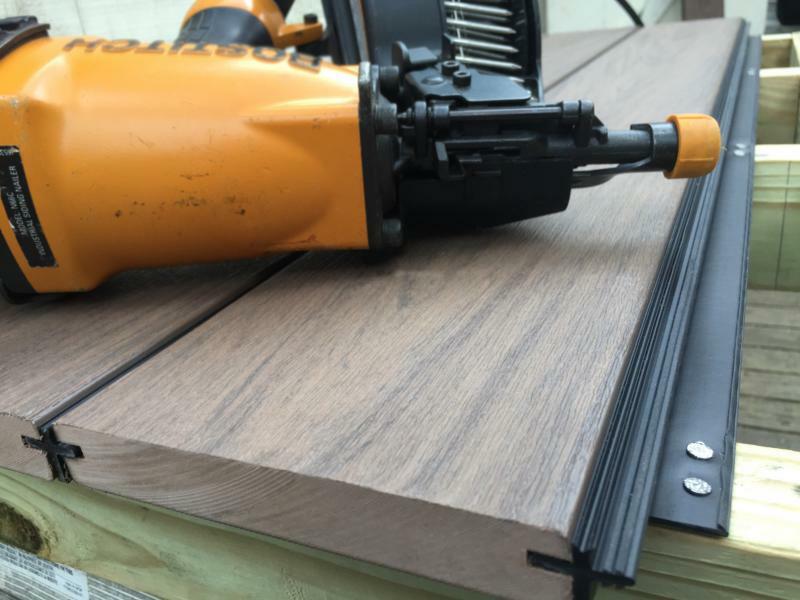 A nail gun keeps it between the slots of 12-foot, 16-foot, and 20-foot Deckorators deck boards. The company’s Tyvek brand has introduced FlexWrap EZ, a flexible adhesive flashing tape that is capable of sealing around any sized opening, including challenging and small electrical and plumbing penetrations. This product can fill eliminate the need for multiple tape and flashing products across a number of residential trades, the company says. 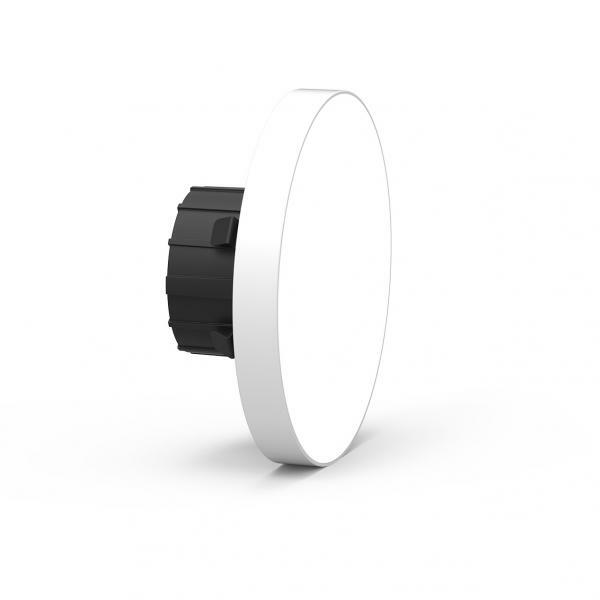 The DRD5S is a new take on recessed lighting, installing with just two inches of plenum space when paired with the company’s SurfaceFrame junction box. It is also compatible with most metallic octagonal and non-metallic round junction boxes. The light requires a mounting bracket and two screws, and then easily snaps into place, the company says. The 90+ CRI LED comes in round or square units and extends just 0.6 inches beyond the ceiling. 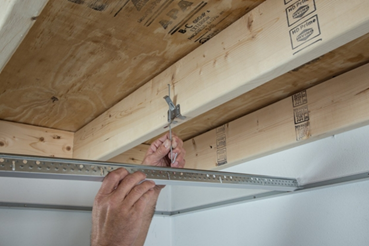 The QuickHang hooks and bracket system simplifies the installation of basement drop ceilings and is easier to level than traditional hanger wire, the company says. The hardware can be purchased alone or with a complete ceiling grid and molding kit. Grid and molding pieces are 6 feet, making them easier to handle than standard 12-feet components. This story is the second of a two-part series on the industry labor shortage. See the first half, which gives solutions that manufacturers are using in their companies, here.